Artists for generations have created works of art where it delves into conversations of wars, violence, and injustices that took place in the said time period. In the decaying age under the administration that works under an orange golf ball called the American President— more so than ever, artists began to create work that was hyper-aware of the political situation that has been/still is being faced in America. Rarely does one see a record where the spine of the work is embedded in the sociopolitical sphere throughout every single song. 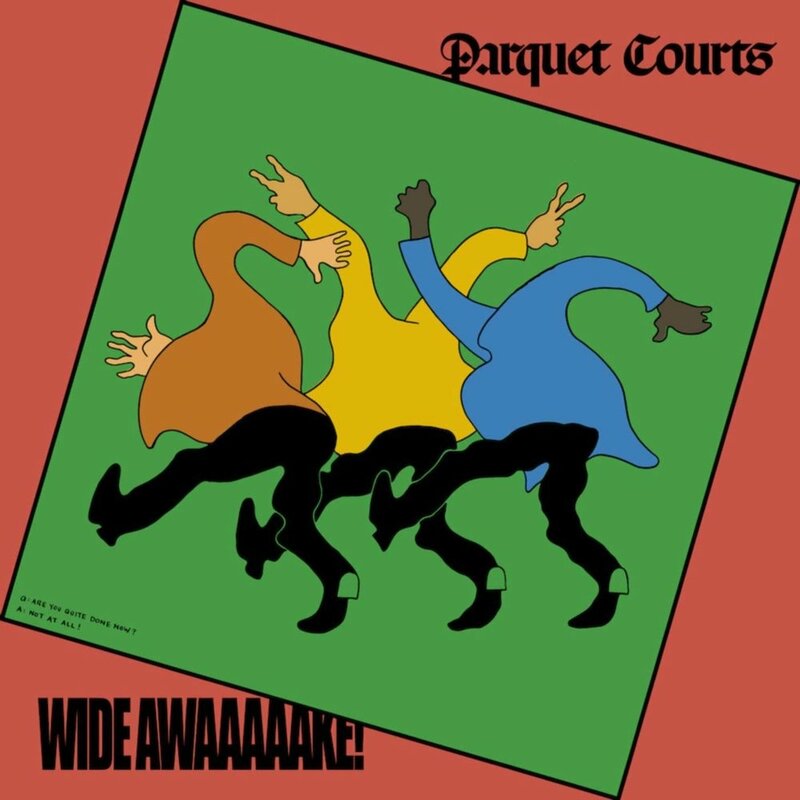 Parquet Courts’ LP Wide Awake does an outstanding performance of distracting one with bells, whistles and funk instrumentally but lyrically sending subliminal messages to prove one of the tremulous reality people are facing in America that one must be “wide awake” for. Bouncing from genre to genre throughout every tune in the record, Wide Awake makes space for flexibility as they go from post punk to art punk to funk rock. There is a tension, away from the political, that runs through the LP and is especially found in “Violence” which seems to be heavily influenced by the psychedelic rock that first stemmed in the 60s in the era of Woodstock. This song goes talk about social institutions that work against the people and the prison industrial complex with the lines “prison TV shows in an endless queue / containing the robust nourishment of a commissary / this is why we cannot afford to close an open casket / you protect no one by obscuring the mirror / that reflects our own problematic reality.” With a syncopated tune to chilling lyrics about people’s desensitization and inaction towards current events, the two part song “Almost Had to Start a Fight/In and Out of Patience” has a playful art punk flare, leaving one wondering what if chaotic politics had ended and the afterward feeling that one must be in a fever dream, pinching oneself and saying ‘there’s no way this is happening.’ This transitions to “Freebird II” where one begins to reflect on past toxic behaviors and unlearning them through vibrant instrumentation and poetic lyrics. In the title track and single “Wide Awake” proves to show a liveliness with tight bass lines, cowbells, egg shakers, polyrhythms and people joyfully shouting lines like “mind so woke ‘cause my brain never pushed the breaks,” setting the overall political tone for the LP in case those missed it. The second to last song approaching the end to the record “Death Will Bring Change” is reminiscent of the eerie score in Stephen King’s Children of the Corn, setting a morbid atmosphere as a children’s choir chimes in every so often. It is done so in a way that stirs up a horrifying idea that in order for reform to take place, death must first be encountered in order to see the catastrophic repercussions a political ideology can do to people and it’s country. After Human Performance, Parquet Courts’ 6th record, it seemed hard to top yet Wide Awake did just that. Lyrically engaging and instrumentally driven, Wide Awake is an artistic statement which brings the audience to focus on the big picture— finding ‘tenderness’ and the groove within a nation, as we know it, decaying.